The big question from InBev/Carlton & United Breweries team to WhatCameNext_ was ‘how can we create a brand that makes pre-mixed batch cocktails desirable and relevant for the Australian market?’ Serving cocktails on draught was such a step away from traditional cocktail culture and the expected bar ritual so the challenge was how to keep it credible. 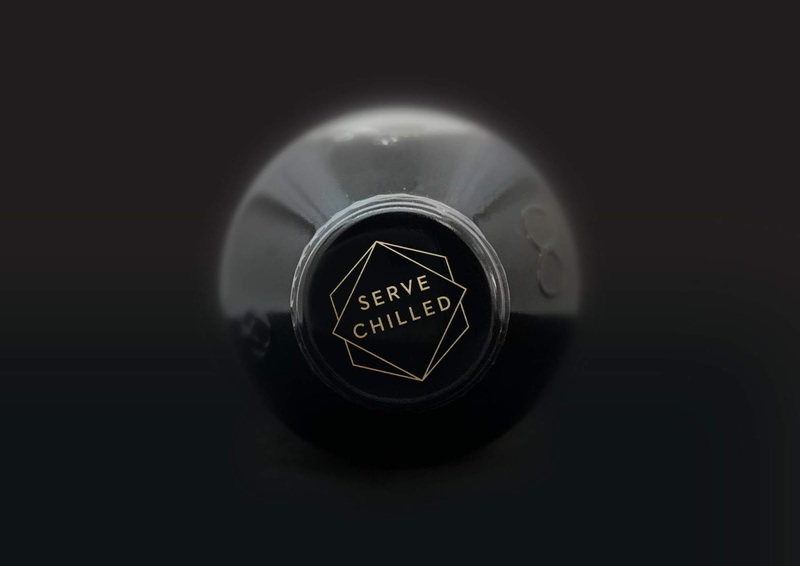 To keep it authentic Sydney brand agency WhatCameNext_ went right back to the beginning of cocktail history to create the brand from. Celebrating the home of the ‘inventor’ of the cocktail party Miss Clara D.D. Bell. The story goes that Clara, a fun-loving socialite, premixed large bowls of cocktail before her guests arrived so no one was ever left standing waiting for a drink. Lexington was her home and so the birth place of pre-mixed cocktails. 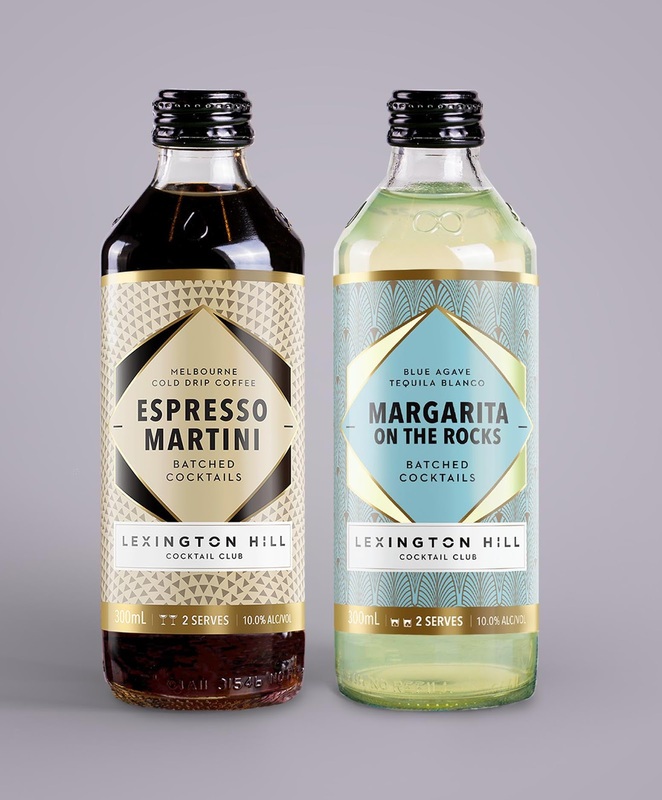 The Lexington Hill Cocktail Club was born. 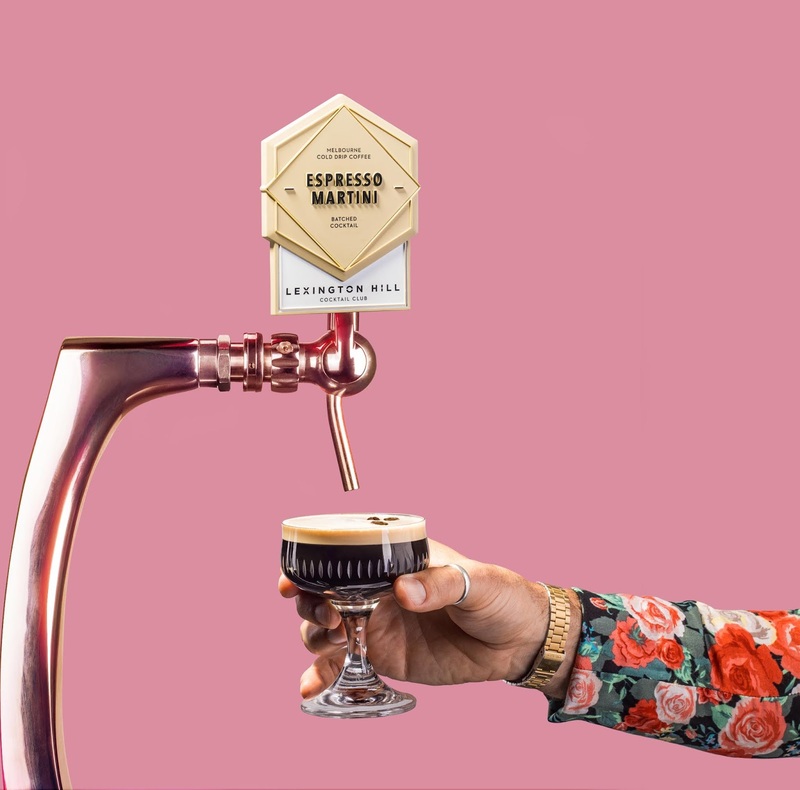 Glenn Kiernan, Creative Partner at WhatCameNext_, says: “It was critical that in creating the brand from scratch that we built from a story that had a real soul. Clara D.D. Bell has often been remembered as inventing the cocktail party back in 1920's St. Louis (although the term may have been in use decades before her famous parties) she helped balk social trends which condemned women who drank publicly. 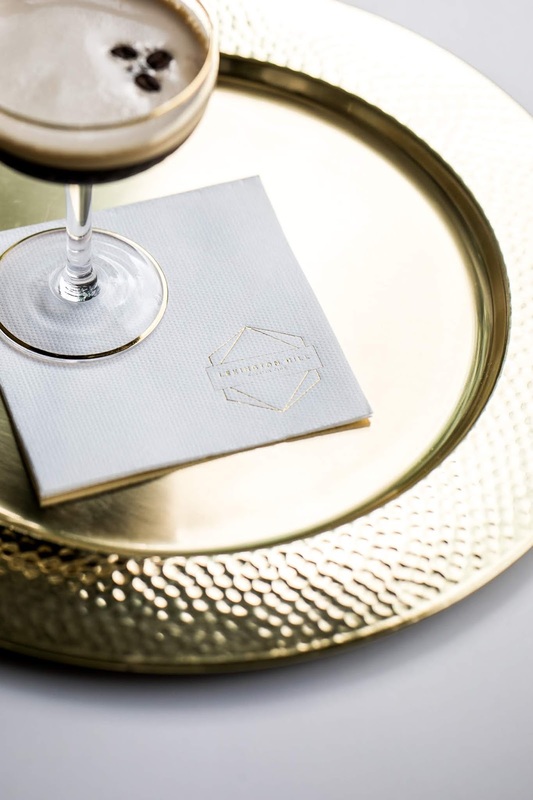 It felt fitting to pay homage to her spirit for a range of cocktails aimed at an audience looking for a good time"
Following the story’s lead the design language took its inspiration from this classic era. Simple, dynamic lines and modern colour palette reflected this famous historic era with a confident, sophisticated modern edge. 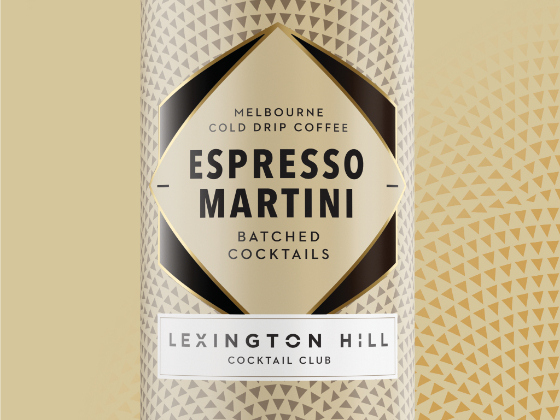 Lexington Hill Cocktail Club is the next generation of cocktail experience, available on draught and bottles throughout Australia. 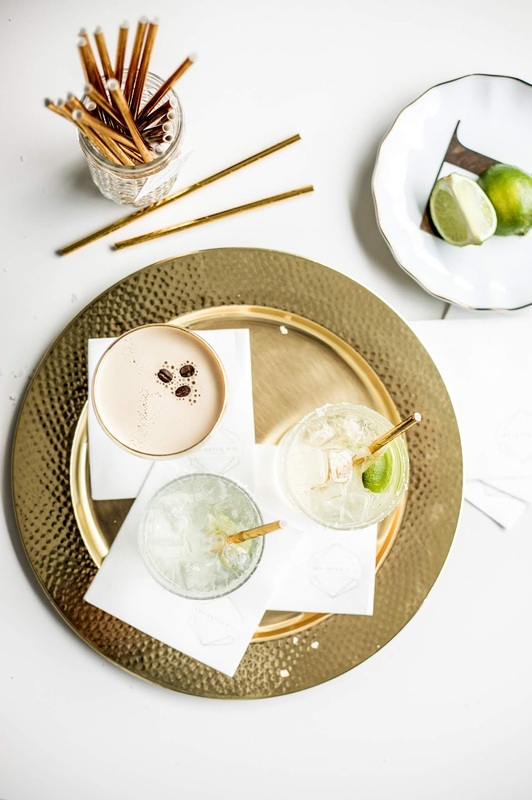 Pre-Batch cocktails are in their infancy around the world, and Lexington Hill Cocktail Club is a first within the Australian market. 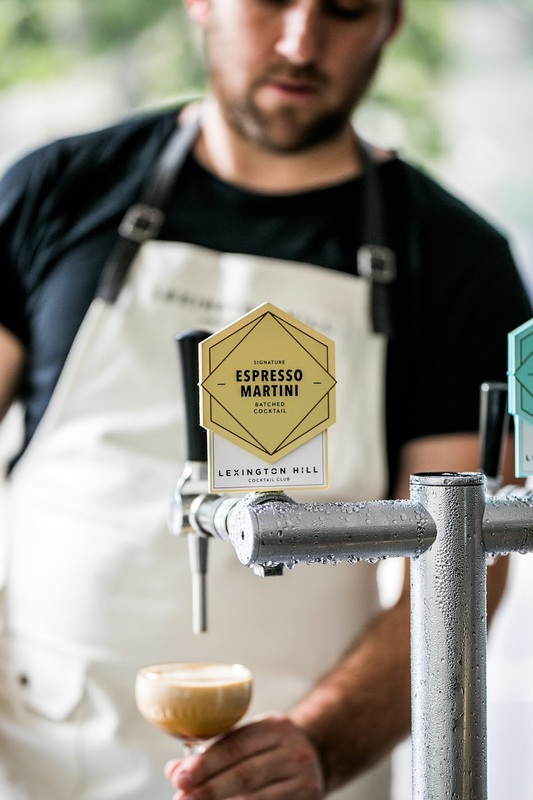 The in-bar tap delivery features textural matt badges and is accompanied with a full serving ritual that delivers the cocktail experience, whilst reducing the queues in venues. The design aesthetic blurs the line between traditional 1920's design and todays modern simplicity and manages to effectively evoke a personality that resonates strongly with its target audience.